Evan’s Fresh Seafoods is a family owned and operated Fresh Seafood Company, originating in 2008 as a Seafood market & delivery business. 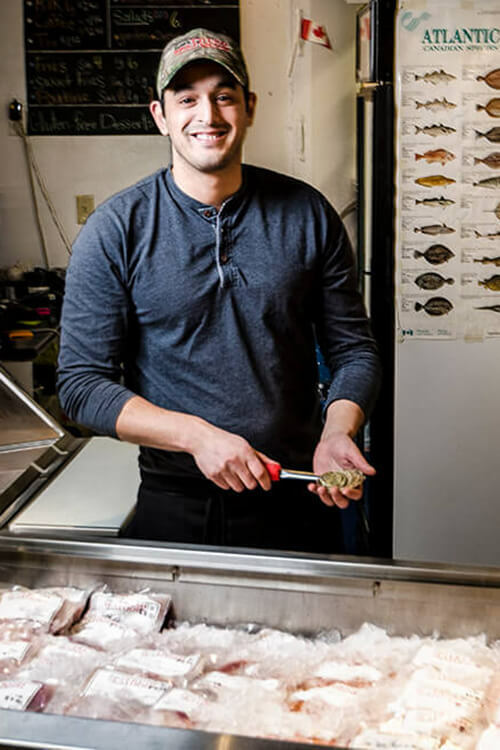 Evan d’Entremont has been a fisherman for over 20 years and now sells directly to the customer as fresh, frozen or cooked products. Evan’s boat and processing plant is in Pubnico, N.S., and the restaurant is in Dartmouth. The restaurant opened May 2011. Daughter, Joline and son-in-law, Oussama opened Evan’s with the partnership of Evan d’Entremont. Evan’s experience, connections and access to NS local fish and seafood allows us to be in the know of when boats are landing and what is available. Our fish is processed in Pubnico and delivered to the city. We sell fresh fish and we cook fish too!! Evan’s resto in Alderney has gained a lovely reputation and many local regulars over the last 6 years. 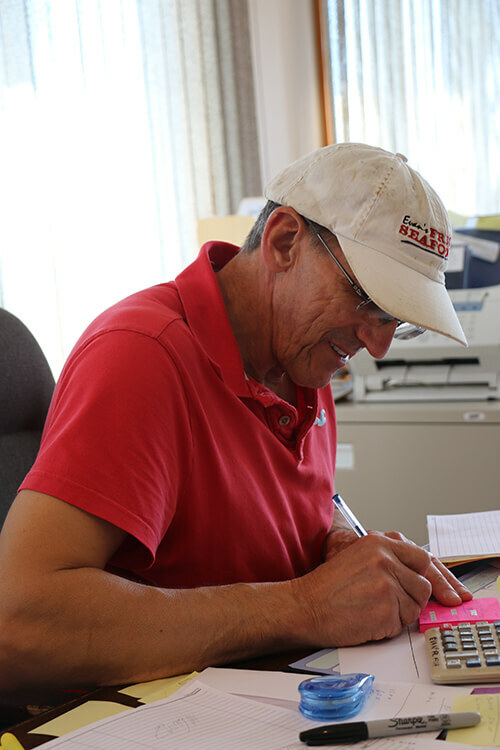 The pictures are of Evan in his office @ Evan’s Fresh Seafoods fishplant. Oussama Showing off our display in Dartmouth @ Evan’s. 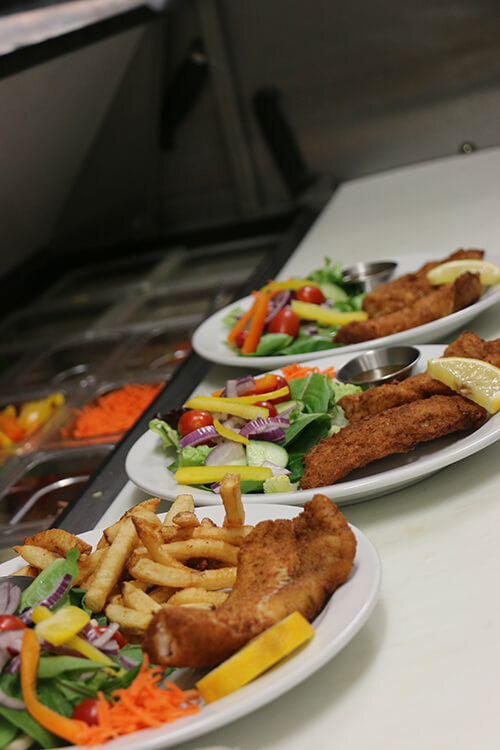 And an order of fish and half fries/half garden salad (totally possible for an extra $1). Our philosophy is to keep it fresh and always local! Purely fresh, purely Nova Scotian. Purely Fresh Nova Scotia Seafood.